This entry was posted in Guess the missing word!, Science and tagged funny answers, guess the missing word, humor, humorous answers, Humour, rat brain, rats, science on 28/02/2013 by Leon J Williams. 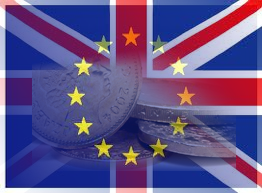 The European Union budget is set to fall by 3% to £768bn yet the UK’s contribution is still set to increase. UK tax payers contribution will still go up from anywhere between 1.3% to 6.3%, British Prime Minister David Cameron of the Conservative Party (Tory) said he was “proud” of the deal which was “good for the UK”. The budget package still needs to be accepted by the European Parliament before it can come into force. This entry was posted in Daily headlines, European Union, UK and tagged 2014-20, Britain, budget cut, Conservative Party, David Cameron, EU, EU budget, EU budget simplified, European Union, government, news, politics, science, Tory, UK, uk tax payers on 09/02/2013 by Leon J Williams. 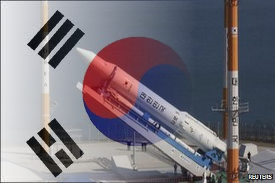 South Korea has successfully launched it’s Naro-1 rocket into space for the first time, on board is a Science and Technology Satellite (STSAT 2C). Previous attempts by South Korea in 2009 and 2010 both failed. Last month North Korea launched their Unha-3 rocket into space which was followed by further UN sanctions. Why is it that two nations who are technically still at war face a situation of complete double standards? North Korea launches a space rocket, gets more UN sanctions, South Korea launches a space rocket, gets a pat on the back. Whether we agree or not with North and/or South Korean politics and general way of doing things surely they must be treated in the same way considering their joint history and the fact that both sides over-step the cease fire agreement. This entry was posted in Daily headlines, North Korea, South Korea, Space and tagged double standards, DPRK, headline, Naro-1, news, North Korea, politics, rocket launch, ROK, sanctions, Satellite, science, South Korea, space, space agency, space rocket, STSAT 2C, the Koreas, UN, UN sanctions, Unha-3 on 30/01/2013 by Leon J Williams. Fresh water could be in short supply or non-existent as glaciers in the Andes mountain range continue to disappear. The glaciers, which provide fresh water for tens of millions in South America, are retreating at their fastest rate in the past 300 years. Is this the result of man-made pollution or part of a natural long-term trend? Either way one thing is for sure, the effects of this will have a massive impact on millions of people and something must be done to curtail the consequences. 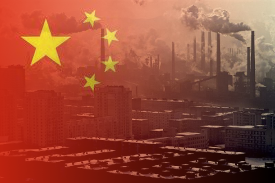 Countries around the world are clearly not doing enough to reduce Carbon Dioxide emissions with the US polluting 17.67 tons per capita (one of the worlds highest) and China polluting a total of 7.7 million tons (the worlds highest). Global Co2 emissions fell from 2008-2009 by 0.3% will this pathetic rate of improvement prove to be too little too late? This entry was posted in Environment and tagged Andes, andes mountain range, carbon dioxide emissions, China, climate, climate change, Co2 emissions, environment, glaciers, global co2 emissions, global warming, science, South America, US on 23/01/2013 by Leon J Williams. With this drivel in mind it is clear that God has been caught red-handed in the process of making a new planet as astronomers have seen. Space.com has announced that astronomers have caught a planet being born at a previously never before seen stage. Planets being formed right in front of our eyes, no God, no mystery, just science. Of course no amount of proof, evidence, fact and science will convince religious people that there is no God and everything they believe in is a load of crap but we live in hope! This entry was posted in Quotes, Religion, Space and tagged Allah, Bible, evidence, fact, God, planet formation, proof, quote, Qur'an, religion, science, space on 04/01/2013 by Leon J Williams.